See Also Bottom Of This Page For A Photo Of The Record Glengavel Brown Trout. 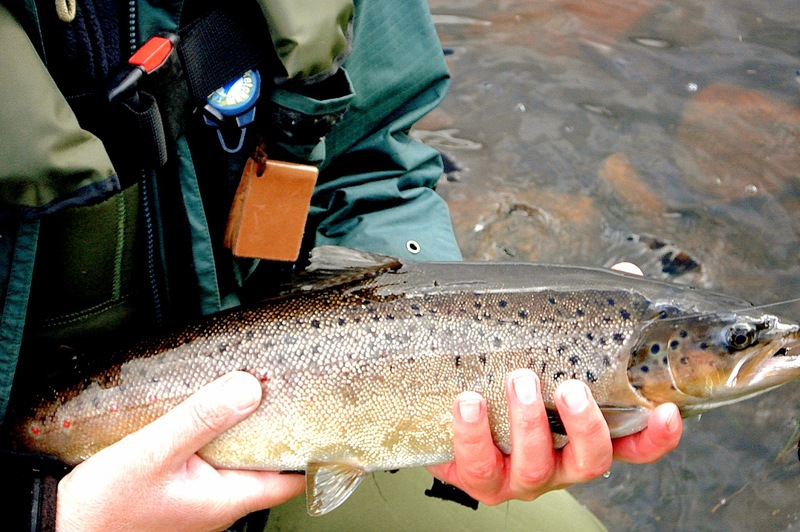 One of the reasons the Upper Avon can boast some of the best Brown Trout fishing in Lanarkshire is as a result of the hard work of the UAAA volunteers & committee. 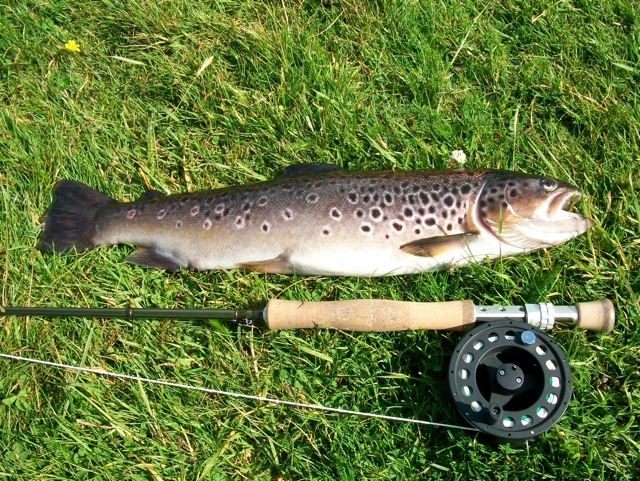 The Upper Avon Angling Association do supplement the wild fish in both the River Avon & Glengavel Reservoir – with fish from The Associations own hatchery & rearing ponds with Brown Trout of 1lb to 3lb (all fish are bred only from locally obtained Trout therefore maintaining the genetic integrity of the local Trout). 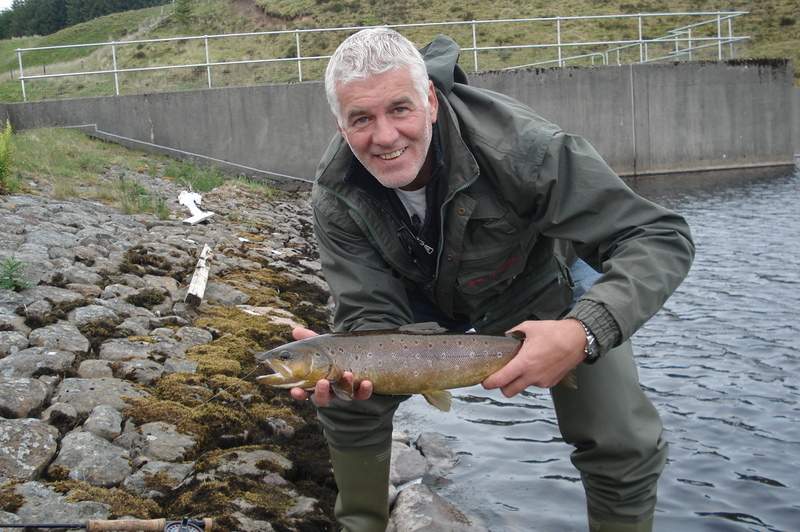 The photo at the top of the page shows the quality of Trout produced in our Hatchery & Rearing Ponds which are stocked into the Avon & Glengavel Reservoir. 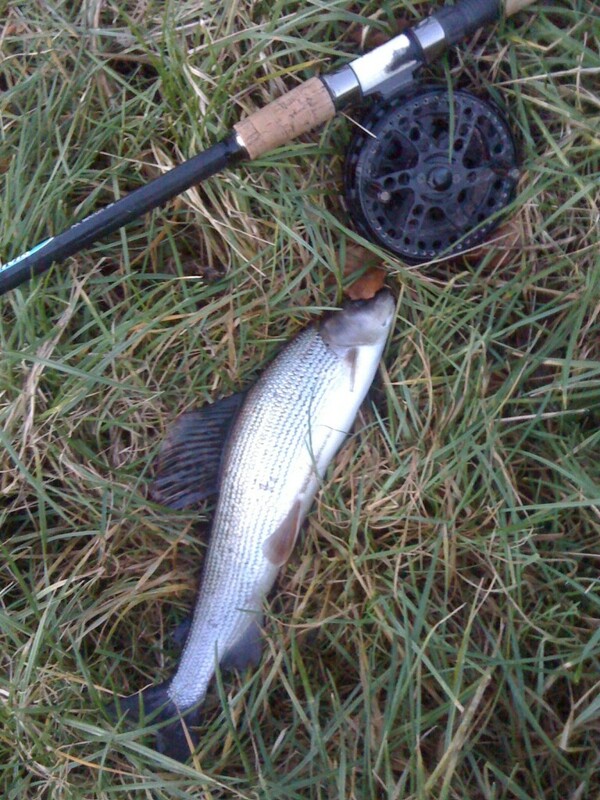 Grayling are present throughout the Avon. Grayling are not as plentiful in the Avon as they once were & we are keen to encourage anglers to catch & release this species. 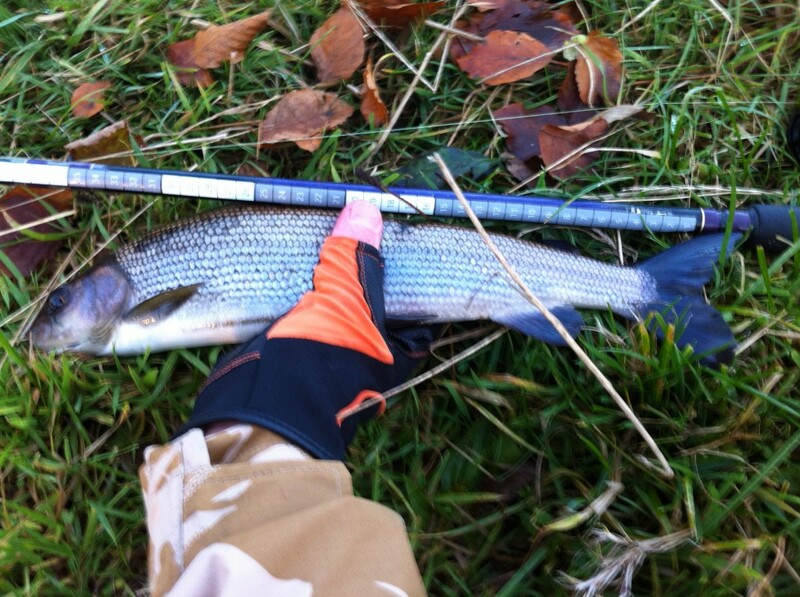 The Grayling in the photo below was caught & returned to the water early December 2010 it was over 12″ long. 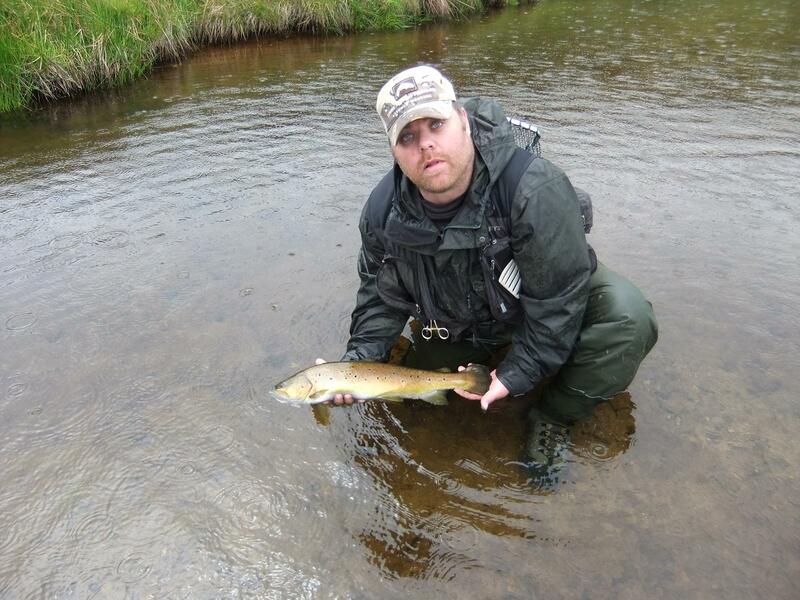 The photo below that is one that was caught December 2012. 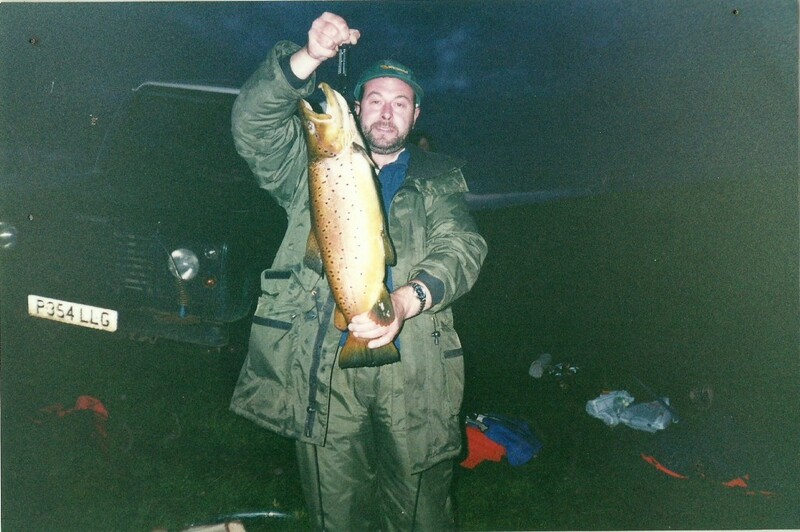 The photo at the bottom of this page is of the Record Glengavel Brown Trout – this Brownie was caught approx 10 years ago by Sandy Tavendale & weighed 8 & half pounds – sadly this fish was killed – however there are many large Trout in Glengavel at 30 feet down – they do occasionally pop up to take a fly & many anglers on Glengavel have a tale of when they were broken by large trout – (the reason we know that there are a population of “Ferox” in the Reservoir is an angler did a survey with a fish finder to confirm what we thought) an angler from Sandford managed to take 2 one evening in September in 2 casts of 3lb and 3& half pound & at the end of last season a Trout of over 4lbs was caught. 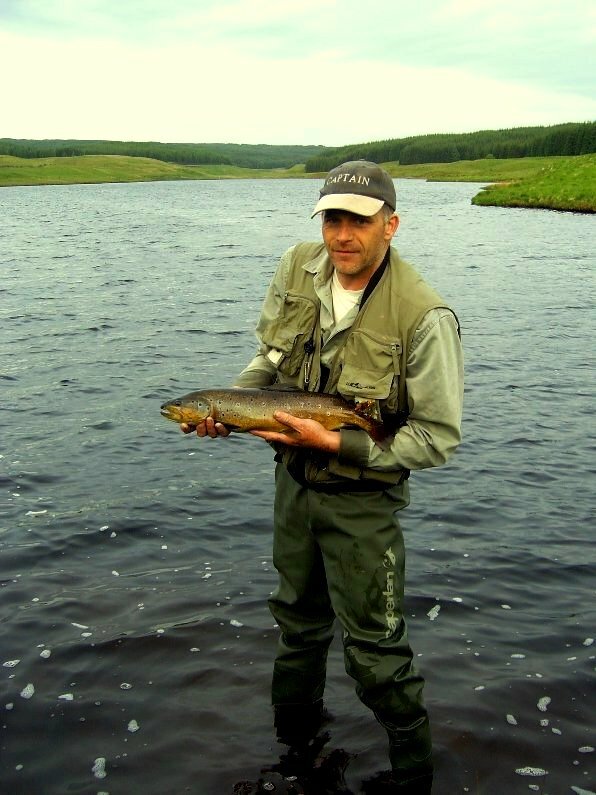 The 4 fish below were caught recently at Glengavel & returned (so they are still there to be caught by our members & day ticket anglers) ………..
We must stress you should not visit Glengavel expecting to catch fish of this mark – but you can & it just may be your day.